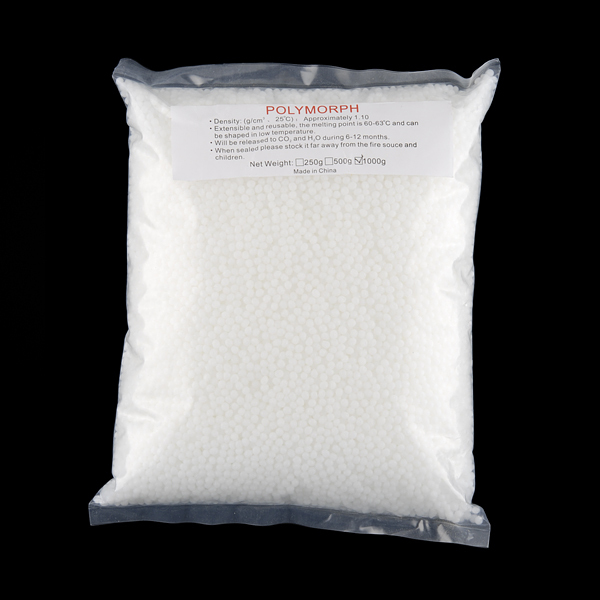 Description: Polymorph is a non-toxic, biodegradable polyester with a low melting temperature of about 60°C (140°F). 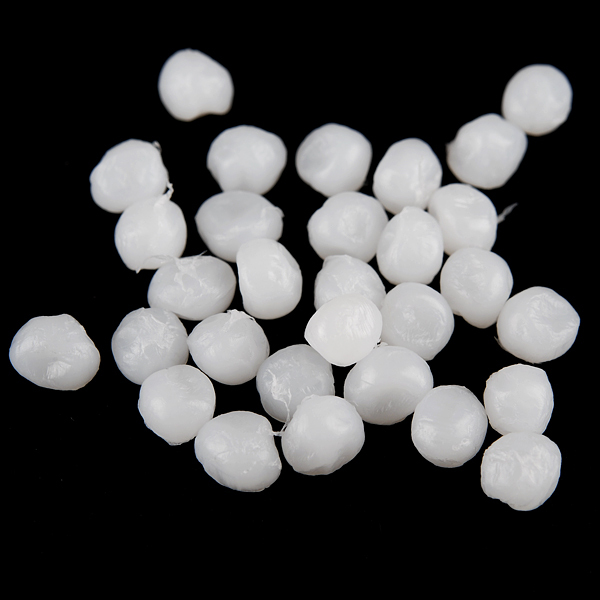 Prototype plastic parts can be made by simply heating the plastic beads in hot water until they turn clear and then kneading them together and shaping by hand. When it cools it becomes a nylon-like white plastic. 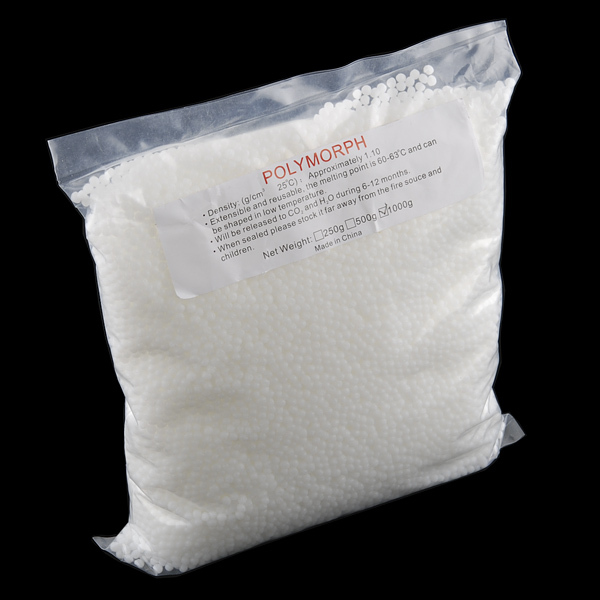 Polymorph can be re-used by simply re-heating and re-shaping. Because I need these for making vampire teeth holloween props that's about it.